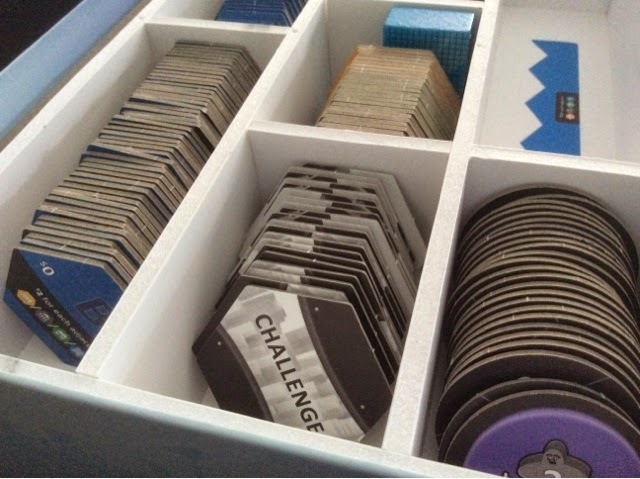 They were made by a very friendly Chris Whitpan on BGG. He's extremely talented in insert making ( IMO ) and for this Suburbia one, he designed it himself. 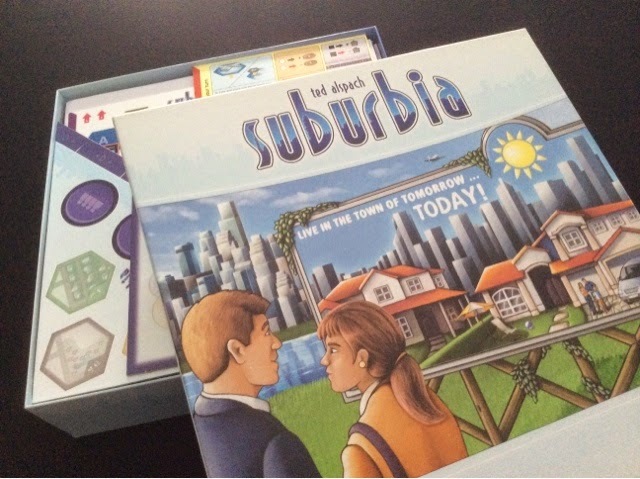 Anyway, below are the pictures of the Suburbia insert ! 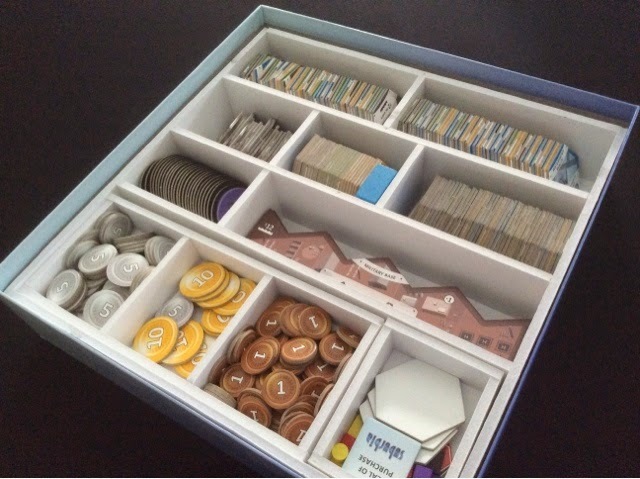 What I really like about custom inserts is not that they look good ( that is a bonus ), but that it really helps to ease the setup and take down time. Suburbia doesn't really need an insert in this aspect as long as you separate the tiles carefully. 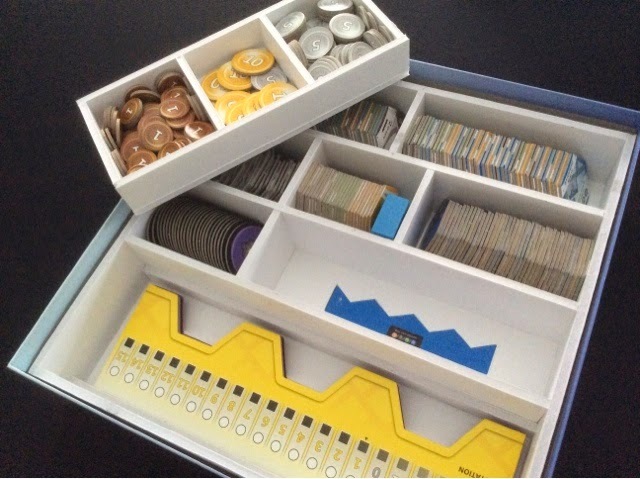 But I find that this insert makes things really neat and everyone kinda knows what to take and where it is when they are helping with the setup and put back of the game. So that is a big plus.